As all good dog owners know - when they poop, we scoop. If you are the one picking up the poop then this "Personal Poop Scooper" t-shirt is for you! 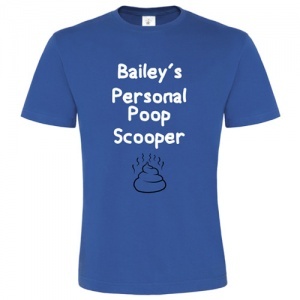 Personalised with your dog's name. 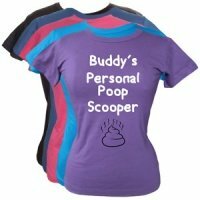 These slogan t-shirts make a fun gift for yourself or a dog loving friend. Sure to make fellow dog walkers chuckle. 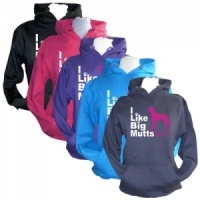 Perfect for walkies and days out with your dog. 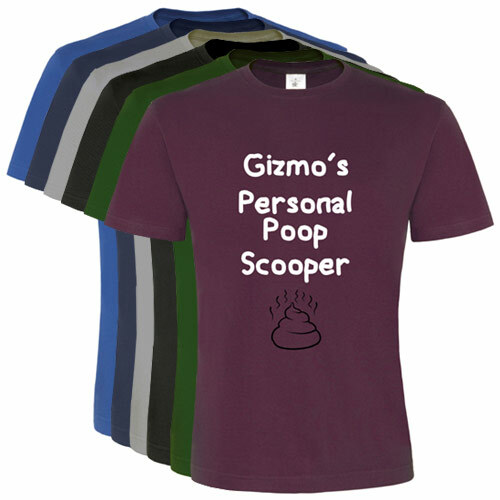 Scoop that poop with pride . The title says it all really. 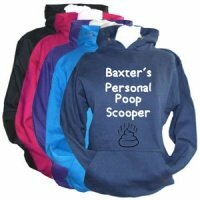 A quality product, which arrived well in time for the date requested, coupled with good and old fashioned customer service. Well done.